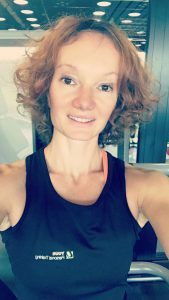 Dance and Fitness training for mums wanting to get their groove back! Strengthen your core, pelvic floor and feel your stamina return. 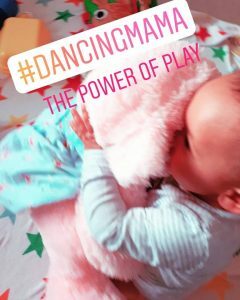 The Love of Dance brings you the Dancing Mama Fitness concept! 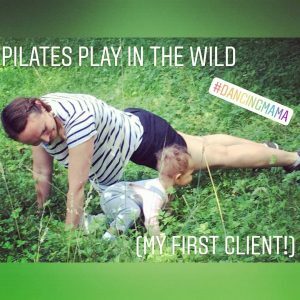 As a new mum I found it hard to find a fitness class I could join whilst having a young baby, that suited my childcare needs, time and location. I’m a dance and Pilates Instructor and needed to get my strength back but couldn’t find the classes to help me. Surely I’m not alone! Dancing Mama Fitness will set up small group and 1:1 dance fitness training just for you and your friends. Bring your babies or young kids to join in with fun sessions incorporating the babies into exercise with and without baby carriers, or leave them at home! 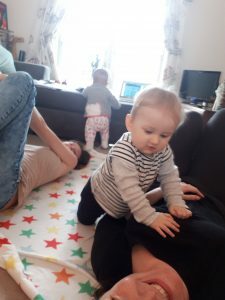 Babies can also be entertained in the room whilst you work out – I realise this isn’t quite giving ‘you’ time, but realistically, us mums have to compromise sometimes! 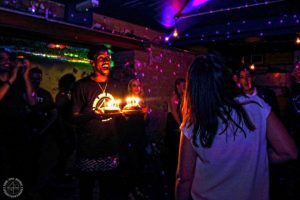 We come to an venue near you at a time that suits you, for a programme of personal training sessions around Kent and South East London. Share the cost of sessions with a group of friends – the feeling of personal training on a more affordable level – or treat yourself to a personal, bespoke programme of sessions. Contact me for more information! 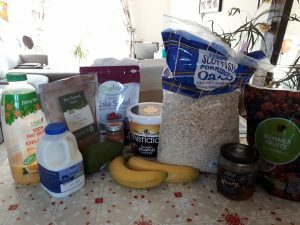 My final Nutrition Day 5 offers a combination of fitness and nutrition tips from health and fitness expert Iona Layland of Train heal Breathe. 1) Corework: pregnancy and child birth is a MASSIVE upheaval to your core. Gentle, calm and controlled exercises to rebuild from the inside. This is exactly what Alison has done with Pilates. 2) Whole Foods: include lots of whole foods and minimise any processed foods. Smoothies are great for time efficiency! 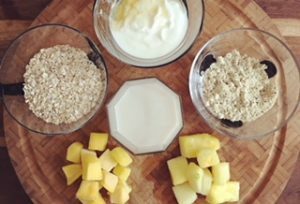 You can add oats, hemp, flax, chia, frozen fruits for vitamins and minerals and natural sources of protein. 3) Protein: this is one of the most essential building blocks of the human body, whether you are weight training or repairing the body after a baby. Generally aim to have in grams of protein your bodyweight in kilo: e.g. 80kg person = 80g of protein. This amount goes up depending on how much training you’ve done. Here’s my blog on protein that goes into more detail. 4) food diary: write down everything you eat in a day or even better put it in an app; there are so many out there now! You can see exactly what’s happening, how many grams of macros you’re consuming: protein, carbs and fat. As for cardio only gentle movement at first; Alison’s group walks in the countryside and woods are perfect! Try not to to do high intensity until you’ve done several months of core, strength training and gentle cardio. Good luck guys! I have lots of clients with babies and young kids and it’s always a far greater challenge to fit in exercise but just a little everyday goes a loooooong way. And if you’re based in East London, Olympic Park Stratford (and Hackney Wick) and would like to try out personal training feel free to get in touch. We’ve been living on a baby budget since baby was born. If this is the time to take advantage of the wonderful benefits we have in this country for low-income families this will be it for me. 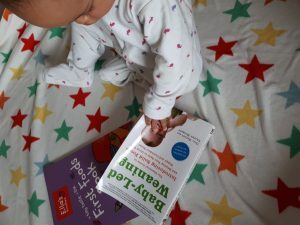 Discovering the Healthy Start initiative for families on low incomes was a saviour for us. As freelancers living off a small maternity monthly pay out for me we are entitled to healthy start vouchers giving us a certain amount each month off of fruit and vegetables, milk, baby formula (although I’ve not regularly bought this ) and vitamins for me and Baby-O, from many major supermarkets. I’m yet to find any independent F&V stores that take them – and not sure it would be worthwhile for them to take them. Learning to shop and cook on a low budget but still making tasty food has been a fun challenge for me. 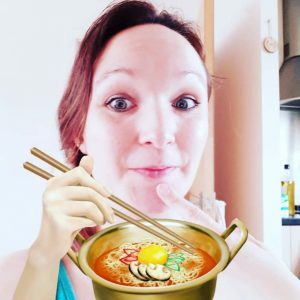 We’ve tried cutting down on meat we’ve tried going vegetarian and I’m still not sure how to cook sufficient food that will sustain us without meat. I know it can be done but we are a work in progress. Although it drives me mad that organic produce is more expensive than non-organic I have tried to use organic for Baby-O where possible and therefore largely our diet consists of lots of fruit and veg and easy to throw together meals, cutting down on meat to allow for the slight luxury of organic. I keep the store cupboards stocked up with red lentils, pulses, whole wheat pasta and lots of dried spices, so I know veggie dishes, although basic, can be bulked out with protein and with different flavours. As I mentioned yesterday, I’m cooking in bulk and freezing meals so I try to minimise wastage of some F&V that many not always get eaten up. *Apple or pear chopped into tiny pieces mixed into the porridge has gone down well. *Frozen berries mixed in whilst the porridge is still on the heat to defrost them makes for a fun pink porridge. *I’ve been adding a little peanut butter as I understand after 6 months babies can have peanut butter to help build up immunity to nut allergies. I’ve learnt a lot since being off work about how to cook yummy things with very few but healthy ingredients and this will be a good life skill which is going to continue with me as Baby-O grows up. I love days when I look in my fridge and it’s so uninspiring that I’m considering ordering takeout. But then I remember the goodies I have in my freezer. As long as I can motivate myself and find time to prepare vegetables in advance or buy them ready prepared from the freezer department, I can quite often be creative enough to cobble together lunch or dinner from the contents of my freezer. Preparing baby food in advance or cooking in bulk and freezing means I can easily grab something for her dinner and cook it quickly. So when she’s grizzly and hungry food can be in front of her in a matter of moments. I’ve been told about using ice cube trays to store mashed vegetables. As baby gets older she has more ‘cubes’ of food per portion but it really helps to manage her mealtimes without chunky tubs, when freezer space is at a premium. As long as I have some good staples in the freezer I can also get something nutritious and satisfying for my lunch too. My favourite is a Asian inspired with some miso soup paste vegetables and noodles the song keep me going at lunch time and again doesn’t require much preparation. My meal here was thrown together in moments, and with the claims that frozen foods retain their nutrition when packed from source, hopefully I’m optimising our vitamin intake as I go. 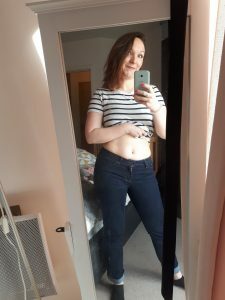 of sharing my post-natal nutrition story. Again, not just about losing the weight (although that is a factor so I can get back into my old wardrobe! ), but about regaining my fitness and getting healthy for me and Baby-O. 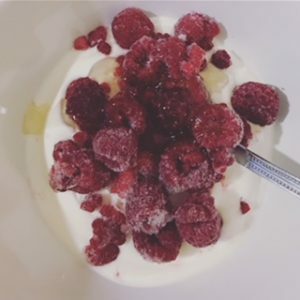 I’ve been short on time for myself so a smoothie every morning has helped me ensure I’m on my way to getting my daily Fruit and Veg (F&V) intake. There is some controversy over smoothies – the process removes some nutritional value, and then we don’t absorb all the goodness as the smoother liquid passes through the gut too quickly. I also lack the tools of a smoothie maker that optimises the nutritious benefits from the F&V etc. It’s the difference though between me being able to throw everything into my ‘soupmaker'(!) blender quickly and getting an easy and fulfilling breakfast as regular practice, versus haphazardly finding time for my F&V throughout the day and running out of time to eat. I’ve got my same old ingredients I pretty much use all the time if they are in the cupboard/fridge, as I’ve got used to buying them as standard on the shopping list, but I haven’t got bored of it. I’m quite impressed with myself that this is one routine I have managed to stick to!